After going to extraordinary lengths to hide the actions of officers who assaulted and mistreated a woman in custody, Victoria Police are also trying to keep quiet about paying her half a million dollars in compensation. 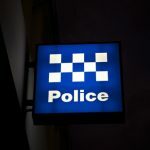 Reports have emerged that Victoria Police have made a payout of more than $500,000 to settle a case involving an ex-policewoman who was handcuffed, dragged along the floor of the police station, stripped of her underwear, stomped on and kicked on by former colleagues in a regional police station. The payment is understood to be the highest in Victoria’s history. 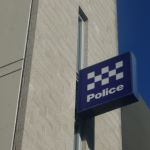 Yvonne Berry was on extended leave from the force when arrested for ‘public drunkenness’ and taken to Ballarat Police Station for drunkenness, where the horrific mistreatment occurred. Berry complained about the incident but, as is usually the case, an internal investigation cleared police of any wrongdoing. However shocking CCTV footage told a very different story. Ms Berry was capsicum sprayed, forcibly searched, left naked from the waist down in the presence of male officers, kicked, stomped-on and stood-on while handcuffed on the floor. After showering to remove the capsicum spray, the woman was left in a wet shirt and underwear for five hours. She was not given anything to drink, eventually becoming so thirsty that she drank from the toilet. 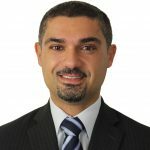 It was only when the case was referred to the Independent Broad-based Anti-corruption Commission (IBAC) that the actions of the officers were fully investigated. Victoria Police fought exceptionally hard – at taxpayers’ expense – to keep the damning CCTV video evidence secret, appealing the decision to release the footage all the way up to the High Court of Australia, where they eventually lost. 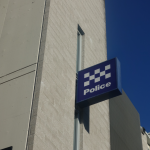 IBAC recommended that one of the officers involved, Senior constable Steven Rapic, face five separate charges of common assault and leading senior constable Nicole Munro face one. Both officers were eventually charged in accordance with those recommendations, and the case proceeded to a trial, resulting in a unanimous verdict of guilty for one count of assault against Rapic and a hung jury for the remainder of the charges against him. The jury was also unable to reach a verdict in the case against officer Munro. Shortly afterwards, Ms Berry launched her own suit against the Victoria Police. Her payout is a result of that suit and includes personal compensation as well as legal costs. Ms Berry’s ordeal has served as a case study for those calling for reform of Victoria’s police complaint system, which faced enormous criticism recently when numerous brutality cases hit media headlines, which in turn shone a light on the inadequacy of the complaints system. Currently, complaints are usually handled by internal investigation – a process used across Australia, not just in Victoria, which amounts to police officers investigating their own. Only a handful of cases considered to be the most serious are referred to IBAC. Now the Victorian Government is under increasing pressure to change the system and ensure that IBAC has the funding and resources, and manpower it needs to perform more investigations, particularly those of a very serious nature such as Yvonne Berry’s. 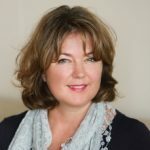 In recent times, a number of serious allegations have been levelled against Victoria Police including that made by a Melbourne Doctor who says she was assaulted by officer when she tried to help an injured man, and the case of the disability pensioner who was assaulted by police in his own front yard. But concerns about the lack of accountability extend beyond brutality complaints. 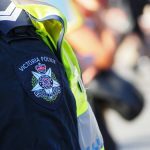 Victoria Police has faced numerous other high profile scandals such as the revelation that a well-known underworld lawyer was also a paid police informant, which has put at least 22 convictions in jeopardy, and the resignation of Brett Guerin, the head of Victoria Police’s Professional Standards Command and Assistant Commissioner after a series of racist social media posts. Such incidents continues to raise questions about the culture of Victoria Police, which at times seems far from being concerned about the interests of justice, fairness and integrity.